Natasha is pleased to announce that she has taken delivery of her new boat which will enable her to undertake her next and largest adventure to date where she will cross the Atlantic as part of the Atlantic Rally for Cruisers 2019 (ARC). Now you can be part of the adventure! 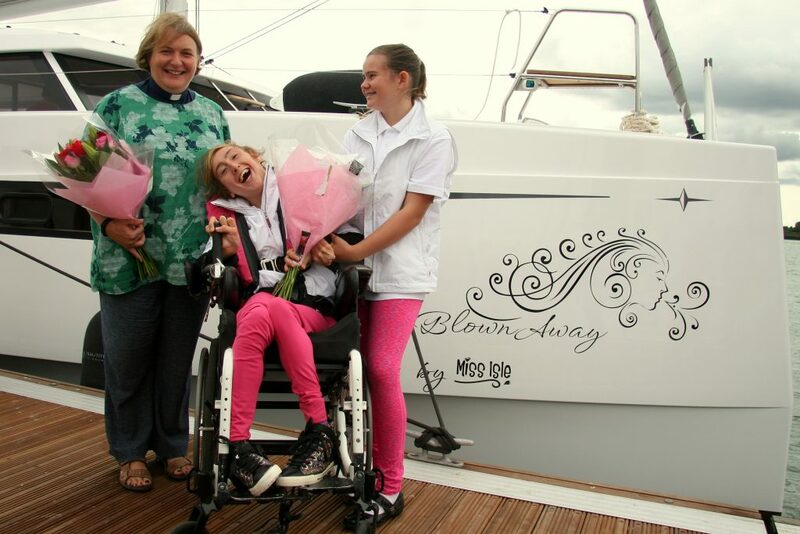 Help make Natasha’s dream a reality by supporting her Crowd Funding campaign. We’re aiming to raise £50,000, representing around a third of the total costs of converting the boat and sailing it across the Atlantic. The new boat is a Bavaria Nautitech Open 46 which was collected by Natasha from La Rochelle in August and officially named by her at the Southampton Boat Show 2018. Now the work begins to adapt the boat for the Sip & Puff technology as well as getting it equipped for the endeavour. We are looking for sponsors/partners to help us equip the boat. If you can help in this please do contact us. Natasha will be spending time on board during next year getting used to the size of the boat and its handling. To keep up with all the latest news follow the blog and social media posts on facebook and twitter.